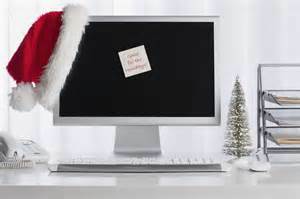 Is Your Holiday ‘Out of Office’ Message on Brand? We all need a good holiday now and again just to recharge the batteries. But many of us still forget to put together an ‘out of office’ email when we pack our bags and head off into the sun. It’s simple to do and can save a lot of aggravation and angry mail when you eventually do return to work. Of course, there are a number of things that people don’t like to see on professional emails, from kisses and smiley faces to familiar terms of endearment such as ‘love’ and ‘honey’. Many people treat the humble email as a way of conducting a casual conversation. If you are hoping to maintain your brand image then you need to treat email as ‘proper writing’ and not as an excuse to gossip or throw in useless information. Have a company policy, particularly for something like ‘out of office’ replies which are often not monitored. If you are going to be away from your office for any extended period then you will need to set up the out of office reply. While some might see the ‘out of office’ message as a chance to inject some humour into the day, flippant or inadvertently rude messages can often do a lot of damage to your brand credibility. It is polite and professional to leave a simple message stating when you are going to be away from and who to contact if there is something urgent that needs to be attended to. You don’t need to tell them where you are going or add in anything extra. To be frank, they are probably not that interested and quite a lot of people find it annoying when you decide to tell them you’re off to the Bahamas for a little R&R. The out of office reply should reflect the nature of your brand and it is a good idea to develop a company policy that everyone is aware of. Many businesses use Microsoft email and it’s a simple process to set up the out of office reply before you go off on holiday. Click the File tab in the top left hand corner and select Info and you should see a box called Automatic Replies. Click this and select Send Automatic Replies check box. Microsoft 365 will give you the option to set the dates when the reply will be sent if you get an email and also allow you to write one message for internal and one for external enquiries.